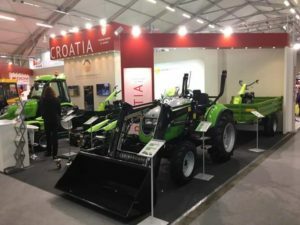 Promotion of new products, contracts and new business contacts marked the performance Croatian members of Agricultural Equipment Cluster at the largest and most influential european exhibition of agricultural and gardening machinery EIMA International 2016. The 42.st EIMA International exhibition, held in Bologna from 09-13 November 2016. has just come to an end with a very positive showing: no fewer than 240,000 visitors, 20% up on the previous edition, confirming the event as a leading global meeting place and focal point of leading manufactures of agricultural machinery. 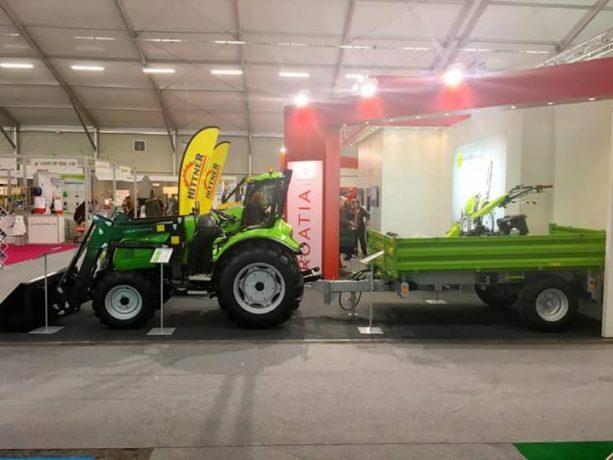 According to the figures released by the organizers, the Federation of Italian Agricultural Machinery Manufacturers FederUnacoma, the event was attended by 1,900 manufacturers including 40 from abroad, exhibited over 50,000 different models of equipment and machinery. The exhibition area of 375,000 m² enable the direct participation of manufacturing industry from around the world, through 14 department stores through thematically unified specialized salons: EIMA Components, EIMA Green, EIMA Energy, EIMA M.I.A. The company Labinprogres- TPS has been present at the fair for more than 10 years and over the five-day fair Labinprogres stand was extremely well attended with a constant flow of visitors. Great interest for products tractor Tuber 50, tractor trailer PV-3000 and snow board was shown by Italian and foreign delegations and young farmers, which confirms that the new generation of farmers recognize and appreciate quality, technology and design of Labinprogres products. “Such kind of exposure is of great importance for the realization of internationalization as a key strategic determinants of business, because the presence of the specialized events Labinprogres- TPS can speed up the creation of global partnerships and the desired expansion on target markets “, clarifying from the company. Visit our Facebook page and relive the atmosphere of the Fair!